But don’t take our word for it, see for yourself in this photo gallery that breaks down all 12 university team houses. Then, mark your calendar for October 5-15, in the Mile High City. It’s an event you’re not going to want to miss. Developed as a prototype for sustainable housing for Native American communities, reACT is a “kit-of-parts” modular house featuring smart systems that harness solar energy, and turn used water and waste into useful resources. With a composting system, hydroponic garden, vegetable garden, and movable “living walls” covered in plants, reACT also demonstrates urban farming—an important facet of self-sufficient living. 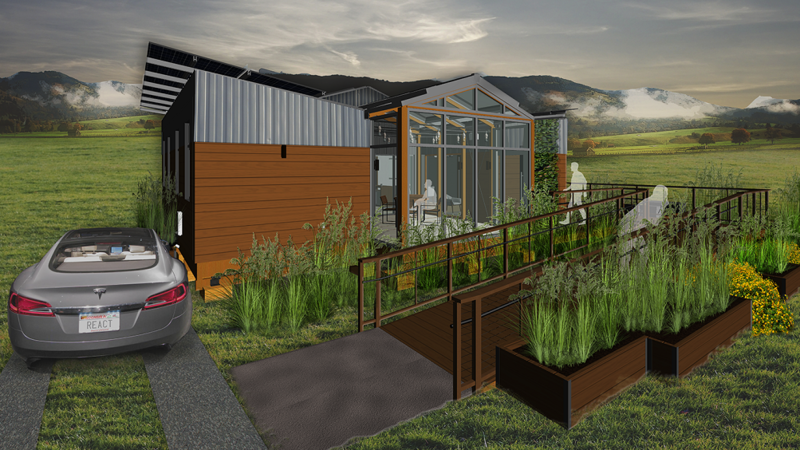 This entry was posted on Tuesday, September 5th, 2017 at 4:25 pm and is filed under Competition, Las Vegas, Maryland, Missouri S&T, Solar Decathlon, Solar Decathlon 2017, Teams, UC Davis.